Samoa is the newest Oceania country to introduce Gymnastics. SAMOA – THE STORY SO FAR…. 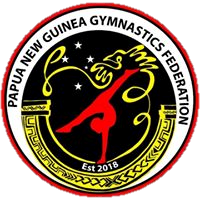 The seventh country to be introduced in the Oceania Gymnastics Development Plan was Samoa in November 2016. A preliminary gymnastics development visit to Samoa was conducted by Gymnastics Australia’s Senior Manager Karen Norden, who held meetings with key stakeholders and discovered a good deal of interest from locals already involved in sport on the main island of Savai’i. In May 2017 two coaches from Samoa attended the International Gymnastics Federation (FIG) funded Age Group Camp at the Australian Institute of Sport, followed by an immersion tour in Melbourne. The Melbourne visit included observation at the Australian National Gymnastics Championships, coach workshops, mentored coaching and presenter training. A second development visit to Samoa was conducted in September 2017 with coach and teacher education, Come & Try sessions and school student clinics conducted. Well over 1000 Samoans were exposed to gymnastics in the space of a week. Since the visit, regular gymnastics classes have been conducted, with a focus on Gymnastics for All and Aerobic Gymnastics. The Samoa Gymnastics Federation has been formed and an application for membership of the International Gymnastics Federation is underway. Most recently a “sister-club” relationship has been established between Spirit Gym Sports in Western Australia and gymnastics in Samoa. Spirit Gym sports is one of the largest gymnastics clubs in Australia with an Aerobic Gymnastics World Champion and Silver medallist amongst their alumni and a dual Artistic Gymnastics Olympian for a Director. Spirit are enthusiastic about mentoring, supporting and providing assistance to Samoa to grow the sport. They are providing lesson plans, session examples, advice and ideas on a regular basis. With a large team of directors, managers, coaches and administrators, support to Samoa is never far away. In 2018 Samoa Gymnastics Federation was the recipient of an Australian Government Pacific Sports Partnerships Grant for a project in partnership with Gymnastics Australia, National University of Samoa and Victoria University. The project titled “Building Leadership Capacity of Women in Sport” uses Aerobic Gymnastics as a vehicle to promote leadership opportunities for Samoan women. Culminating in a Showcase event, it also provides a fun was for people of all ages to get active and combat non-communicable diseases. © 2019 Oceania Gymnastics Union. All rights reserved.